In 2000, Henry Boersma’s stroke left him not only paralyzed on his left side, but without the self-confidence he once had in his career as a regional industrial representative. 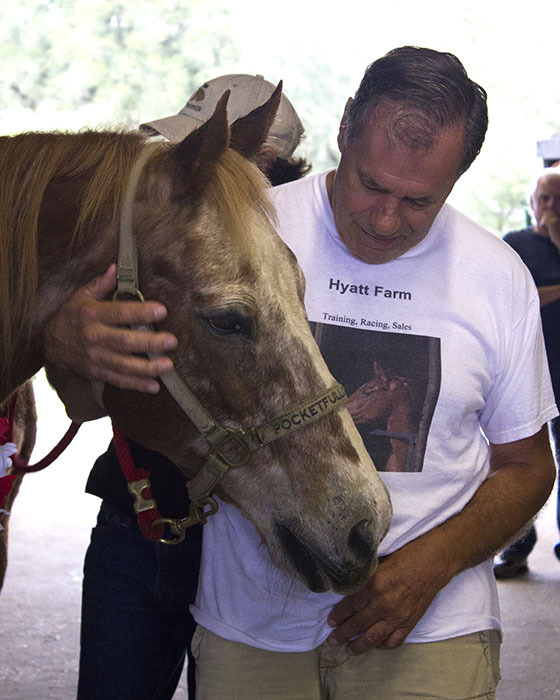 It took a move to Ocala and volunteering with MTRA to not only find his self-esteem again, but also regain his physical strength—on the back of a horse. When Henry, over 70 years old, heard someone from the Marion Therapeutic Riding Association speak at a meeting of the local Stroke Club, Henry decided to give it a try, even though he had never been on a horse in his life. Just to prove his point, Henry won the Exceptional Challenge Cup at the National United Professional Horseman Association competition in Kansas City. Volunteers were involved all the way with Henry’s triumph, from teaching him to ride and encouraging his successes, to sponsors covering the costs of transporting his horse and Henry’s trip. MTRA is proud to showcase Henry’s achievements as one of MTRA’s many success stories.